If you've visited Costa Rica, there is a good chance that you sunned yourself on the beaches of Guanacaste. Sunnier and drier than the rest of the country, this province is one of the country's major tourist destinations. Although it's famous for its landscapes and Pacific coastlines, there are regions suitable for coffee production, in mountainous areas where the temperature is cooler. 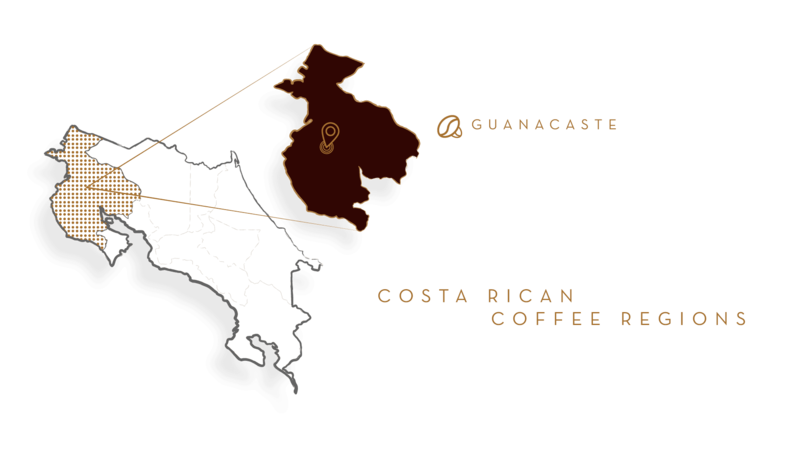 Soil conditions, climate, altitude, and coffee varieties used in Guanacaste result in an extraordinary smooth cup of coffee with good balance between body, aroma, and acidity.